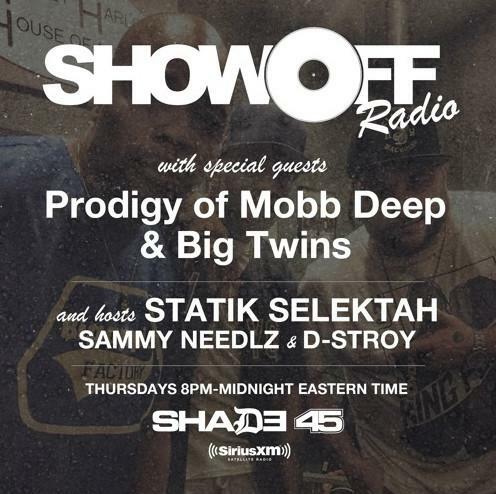 Mobb Deep's Prodigy stopped by Statik Selektah's Shade 45’s ShowOff Radio earlier this week, premiering a new record called "Mystic," as well as performing a track called "Live From Bushwick," produced by Alchemist and Statik Selektah, live on the air with Big Twins. Both records had the legendary rapper at his gritty best, his storytelling sharp as its always been, and has us excited for his next project, The HegelianDialectic, which will hopefully se release soon. Until then, Prodigy fans should have quite a bit to chew on with these new tracks. You can listen to his previous record, "Beast With It," here.